Danny, a CEDR Director for 11 years and is dually qualified as a lawyer both in Australia and the UK. He has been involved in negotiation, conflict resolution training, mediation and international business for over 20 years. After completing his Masters in Commercial Law he specialized in dispute resolution and international trade. Danny speaks Mandarin Chinese fluently and mediates regularly in Hong Kong and China using both English and Mandarin. He has worked with people of all nationalities and has a clear understanding of the dynamics of mediating and arbitrating across national boundaries. 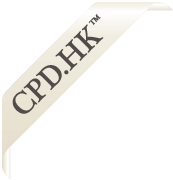 Based in Hong Kong he mediates regularly in the commercial, employment, construction, succession and trusts, banking, insurance, and property sectors with a particular expertise in cross-cultural and multinational disputes. He is also an expert trainer and facilitator providing training in conflict management, negotiation, change management, unconscious bias and mediation to organisations such as the IFC, UN, ADB, IHG, World Bank and MTR. In 2009 he was appointed Director of Mediation at the United Nations in New York, mediating cases and this followed on from 2008, when he joined the United Nations Ombudsman’s New York Office in as an expert adviser on the establishment of a new Mediation Division. His Report formed part of the terms of reference for mediation in the new internal UN Justice System. Danny has worked as a trainer and consultant in many countries including Azerbaijan, China, Cameroon, Guyana, Hong Kong, Ireland, Mongolia, Singapore, Sweden, the UK and the USA. He is a visiting Professor at Kobe University Japan teaching International Dispute Resolution. He has provided consultancy to the legislatures of Hong Kong, China and Vietnam. Danny is a member of the Hong Kong Government’s Steering Committee on Mediation, Vice Chair of the Hong Kong Mediation Accreditation Association Limited (HKMAAL), International Ombudsman Association, Law Society of England and Wales, Civil Mediation Council, International Bar Association, World Jurist Association, American Bar Association and a Fellow of the Chartered Institute of Arbitrators. He is currently serving on Mediator Panels: CAO, UN Mediation Division New York, IMI, SIMC, THAC, CEDR Solve, World Bank Group and CCPIT Mediation Centre Beijing. Book: “Mediation in Singapore”, Co-Editor and Author, Sweet & Maxwell, 2015, New Edition published, 2017. Book: “Mediation in Greater China: The New Frontier for Commercial Mediation”, Author, Hong Kong: Wolters Kluwer/CCH Hong Kong, 2013. Course: The ADR Spectrum - How to Choose Between Different Dispute Resolution Process?